As the saying goes, cleanliness is next to godliness. I don’t know if that’s true or not but I do know that keeping at least reasonably clean is important for health and morale. Both of those are vitally important during a bug out. The cleaner you are, the less risk of infection from small cuts and scrapes. On top of that, few people enjoy the funk that comes from not washing for several days at a time. Yet, in spite of all that, hygiene supplies are rarely seen on bug out bag content lists. I’ve advocated for years that people include a few hygiene basics in their kits and was happy to see this product come out. 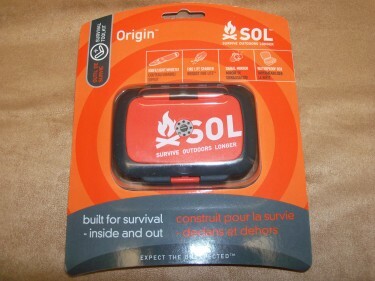 Of all the large survival kits I’ve come across recently, I have to say I like this one the best. It is robust and fairly complete. Echo-Sigma has been making quite the name for themselves lately, and for good reason. They are putting out high-quality kits. One of Echo-Sigma’s claims to fame, as it were, is that when their kits arrive at your door, they are ready for action immediately. All products have been removed from the packaging and stowed within the pack. While you’ll still want to go through each and every pocket so you are familiar with the kit contents, at least you won’t be fighting blister packs and tough to cut plastic in order to do so. REI has long been a go to resource for outdoor activities, from camping to kayaking. They recently came out with a fully equipped emergency kit, suitable for keeping at home or in your vehicle. Let’s take a look at it. The kit is contained in a basic backpack, brightly colored so it is easy to find in the back of the closet. The pack is of decent quality, though I don’t know if it would necessarily hold up to a several week hike through the wilderness. The interior of the pack is divided into several sections, allowing for easy organization of the gear. I caution you, though, that when you open the pack, lay it down on its back first. If you don’t, you may end up spilling some of the contents, as I did when I first opened it. The inside front flap also has several pockets. I think the easiest way to break down the kit contents is to go section by section within the pack. One pair work gloves, 4 light sticks, 50′ nylon rope, 6 antimicrobial hand wipes, a small tube tent, pencil, and two twist ties. The above shows 4 chemical hand warmers, 2 ponchos, 2 dust masks, a hand crank radio/flashlight, 2 rescue blankets, a 2.5 gallon collapsible water jug, 2 candles, and a multi-tool. Two large packages of Datrex emergency rations. A notepad, 2 biohazard bags, 2 9×5 ABD pads, 2 bottles eye wash, first aid manual, a small first aid kit, digital thermometer, 2 packets facial tissue, a roll of first aid tape, 2 pair nitrile gloves, and 2 cold packs. At the very bottom, we have 20 packets of water (not shown). The REI Emergency Kit retails for $165.00 here on their site. It weighs just under 15lbs fully packed. A fair amount of that weight comes from the water packets. As with just about any commercial survival kit, it is lacking in a couple of areas. There is nothing in the kit that will help you get a fire started, so you’re going to want to add strike anywhere matches, a butane lighter, and/or a ferro rod, along with ready-to-go tinder. While it has the 2.5 gallon water jug, there is nothing in the kit that would allow you to filter and purify water, so you’ll want to toss in that gear as well. It lacks any sort of navigation aid or signal device as well. However, the kit’s intended purpose is more for sheltering in place rather than evacuating. I do like the high visibility of the pack. If it is a true emergency, you’re going to be stressed so anything that will help you locate your gear quickly will be beneficial. All in all, I think the REI Emergency Kit isn’t bad, but you should consider it only as a good start, not as a fully ready to go kit. As with any commercial kit, you’ll not only need to customize it to suit your individual needs but take each item out and get familiar with it. Know what your kit is capable of so you don’t run into surprises later. Regular readers here know I’ve long been a fan of Survival Resources. Each and every product they sell has been thoroughly vetted by owner John D. McCann. In fact, he’s designed a fair number of the things they sell, such as this Pocket Tin Survival Kit. Before I get into the actual product review, allow me to please clear up a few misconceptions about the various and sundry mini kits that are out there. Whether you’re buying a mini kit or making one yourself out of an Altoids tin or similar container, these aren’t intended to turn a survival situation into a weekend camping trip. These small kits aren’t supposed to take the place of a Get Home Bag. Instead, the mini kit is your backup survival gear. It is there in case you get separated from your primary kit and need supplies to get through a night or two in the wild.